Around 3:30 PM on Thursday, December 22, 84-year-old Little Village resident Telesfora Escamilla was walking home from getting her hair cut for Christmas when she was fatally struck in a crosswalk at 28th and Drake by a van driver who was making deliveries for Amazon. Witnesses say the driver swerved around a car in front of him and blew a stop sign prior to the crash, and that he dragged the senior for about 30 feet before stopping. Escamilla was pronounced dead shortly afterwards at Mount Sinai Hospital. She was the last pedestrian fatality of 2016 to be reported in the media. That same afternoon, 21-year-old Pullman resident Richard Chambers was standing with a 20-year-old man on the sidewalk near 79th and Exchange in South Shore, according to police. Someone driving by in a white SUV opened the rear door and began shooting at the two men, striking Chambers in the head and his companion in the foot, police said. Chambers was pronounced dead of his wound at Christ Medical Center in Oak Lawn an hour later. Seven other people were also wounded by shootings in Chicago that day, and there were 23 more homicides in the remaining days of 2016, pushing the total for the year to 779, according to the Chicago Tribune. That's up 60 percent from 2015, and it's the highest number in our city for two decades. Meanwhile, according to preliminary Chicago Police Department data provided last week by the Chicago Department of Transportation, as of November 30 there had been a total of 98 traffic deaths in the city in 2016, not including crashes on interstate highways. Of these, 36 were pedestrian fatalities and six were bike deaths. Those numbers put us on track for a total of 107 traffic fatalities for the year, about average for recent years. In September the city announced it will be releasing a three-year Vision Zero action plan, inspired by the international movement with the goal of eliminating serious traffic injuries and fatalities through better infrastructure, education, and enforcement. Chicago's plan, currently slated for release later this winter, will involve a dozen city departments, with the goal of reaching zero crash deaths by 2026. 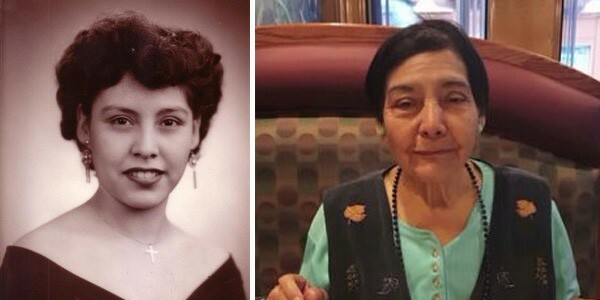 Eighty-four-year-old Telesfora Escamilla, pictured right in a recent photo and left as a young woman, was killed by a van driver who struck her in the crosswalk. As much as I want Chicago to eliminate traffic fatalities, the fact remains that more than seven times as many people were killed by homicides as by crashes in Chicago last year. So I have to ask: Why is the city creating an interdepartmental strategy to end traffic violence within a finite period of time, but not one for gun violence? Now more than ever, it's obvious that we need to apply the same kind of holistic approach to our murder crisis by creating a Vision Zero plan for homicides. Here's what the city has done to this end so far: In September, Mayor Emanuel announced plans to address gun violence during a speech at Malcolm X College. He called for more cooperation between police and city residents, tougher gun legislation, and mentoring and job programs for young people in underserved communities. 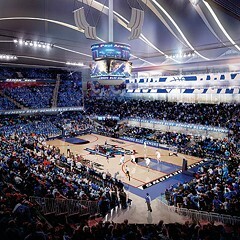 Emanuel said that the new Neighborhood Opportunity Fund, which downtown developers pay into in exchange for permits to build denser structures, would have $8 million by this year, and that this money would be used to fund projects in high-crime neighborhoods. He promised to invest $36 million in city funds and private donations over the next three years to pay for the expansion of mentoring programs. And he repeated his previous pledge to hire 1,000 more police officers, who are supposed to start work by the end of 2017. Arguably, these initiatives represent steps in the right direction (although some local activists are calling for shifting our strategy away from policing and incarceration and towards restorative justice). But it's clear that we're not going make significant progress on the homicide crisis without additional resources to address other root causes of violence in communities with concentrated poverty. That will require more focus on issues of housing, education, health care, child protection, addiction recovery, and mental health as well as employment. Geography may help explain to some degree why city hasn't yet committed to the same kind of all-hands-on-deck approach to reducing homicides as it has for traffic violence. 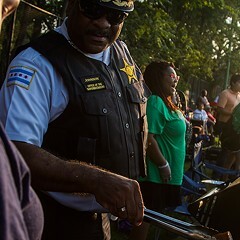 As in past years, in 2016 most of the city's homicides were concentrated in lower-income Latino and, especially, African-American neighborhoods on the south and west sides, according to data compiled by the Tribune. 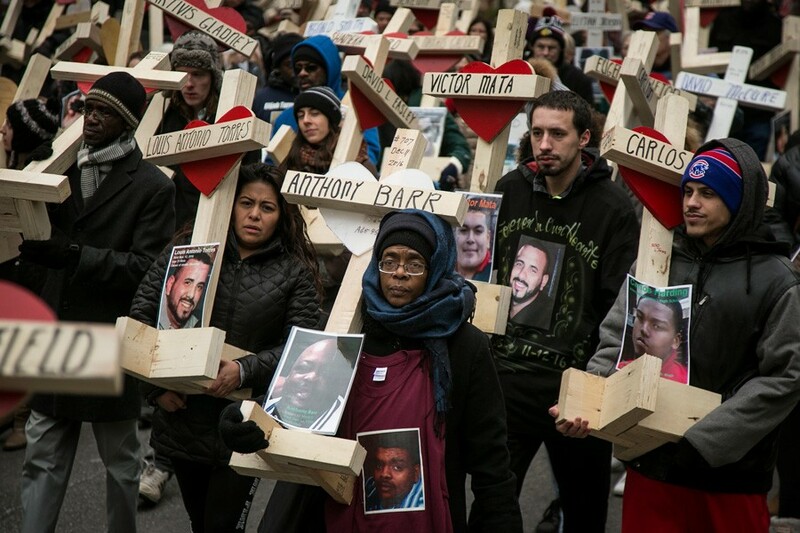 Hundreds of marchers carried crosses down the Magnificent Mile on New Year's Eve to memorialize loved ones lost to gun violence in 2016. The differences in the geographical distribution of gun violence and traffic violence cases likely influence the way these deaths are perceived by the public and addressed by decision makers. Since homicides mostly take place mostly in underserved communities of color, it might be tempting for residents of wealthier, whiter areas to view these tragedies as an abstract problem that doesn't directly affect them. Meanwhile, reckless driving is a potential danger no matter where you live or what your race or income is. 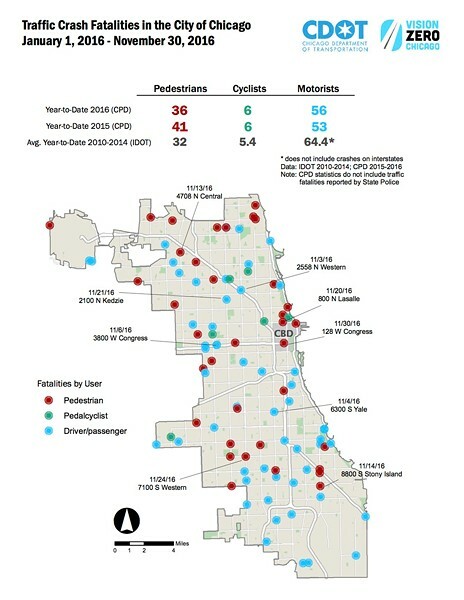 So more privileged Chicagoans may subconsciously feel that traffic violence is a more pressing issue, which could result in proportionately more resources being directed towards solving it. But here's another possible reason why the city has announced a zero-tolerance strategy for crashes but not shootings: we're probably never going to completely eliminate traffic fatalities, but greatly reducing the number of crash deaths may seem like an attainable goal to many residents and city officials, while they may not view homicides the same way. 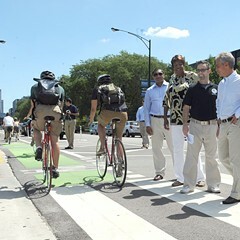 There are—literally—concrete things we can do to prevent dangerous driving and protect vulnerable road users, such as the implementation of "road diets" and the installation of speed bumps, curb bump-outs, and protected bike lanes. And we can look to other countries—like Sweden, where the Vision Zero movement began, and the Netherlands—that have had dramatic success in reducing their traffic death rates via street design, mobility education, and traffic laws that prioritize safe, efficient, and vibrant streets over convenient driving. In contrast, it may be difficult for our leaders to take such an optimistic approach to eliminating homicides, as there's no obvious road map for doing so. Globally, nations like the U.K., Australia, and Germany have greatly reduced shootings through gun control, but the U.S. has a powerful gun lobby to contend with. Even local efforts to restrict gun ownership have proven difficult to uphold; the U.S. Supreme Court overturned Chicago's own handgun ban in 2010. It's true that peer U.S. cities like New York and Los Angeles have successfully lowered their homicide numbers in recent years. 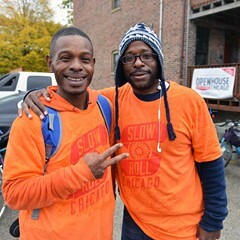 But Chicago, even more so than other major cities, struggles with a legacy of intense residential segregation that concentrated poverty, social justice inequities, and the resulting violence in certain communities while making it easier for those in more better-off neighborhoods to ignore these problems. 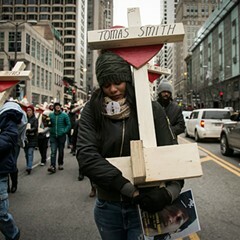 However, Saturday's march on Michigan Avenue, in which activists and family members of homicide victims carried heavy wooden crosses to memorialize the fallen, underscored the fact that many Chicagoans are no longer willing to tolerate the status quo. That's why, just as we need Vision Zero for traffic fatalities, we urgently need a holistic strategy to dramatically reduce the number of shootings. This has to involve not just the police, but also departments like Public Health, Family and Support Services, and Innovation and Technology along with the Chicago Housing Authority, the Chicago Public Schools, the Chicago Park District, and other city agencies. 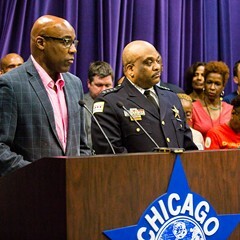 Kwame Raoul wants to stop the violence. Will his new bill accomplish this? Chicago never tried the feds’ data-driven enforcement model—but Gabe Klein says we now should.